Adventures in Fruit: Under the Bed! 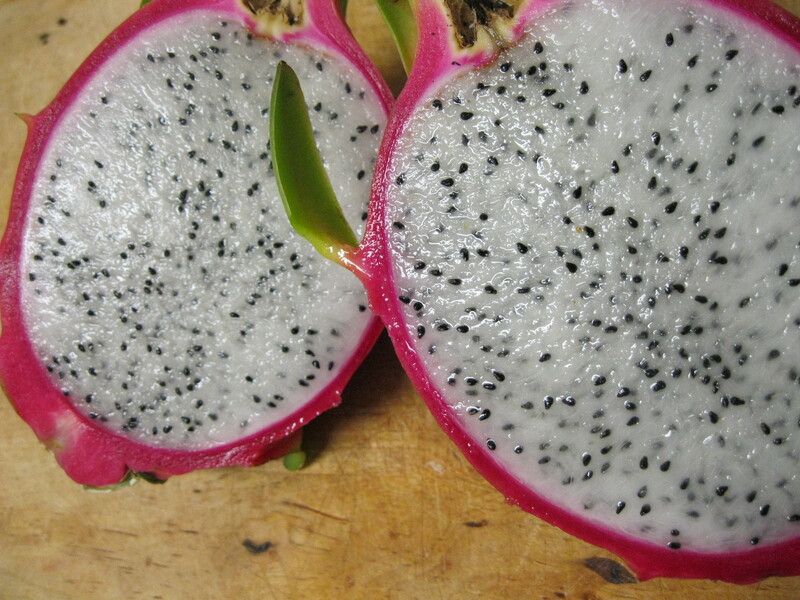 This post is about monster fruit and dragon fruit – two fruits that I decided to try for no reason other than that they’re fascinating. I’m actually not new to dragon fruit. I have seen it in Central America, California and Florida. I hope you find it at your market. I’ve seen flesh in these fruits, yellow, hot pink, and white. It tastes like and has the mouth feel of kiwi but not as acidic. 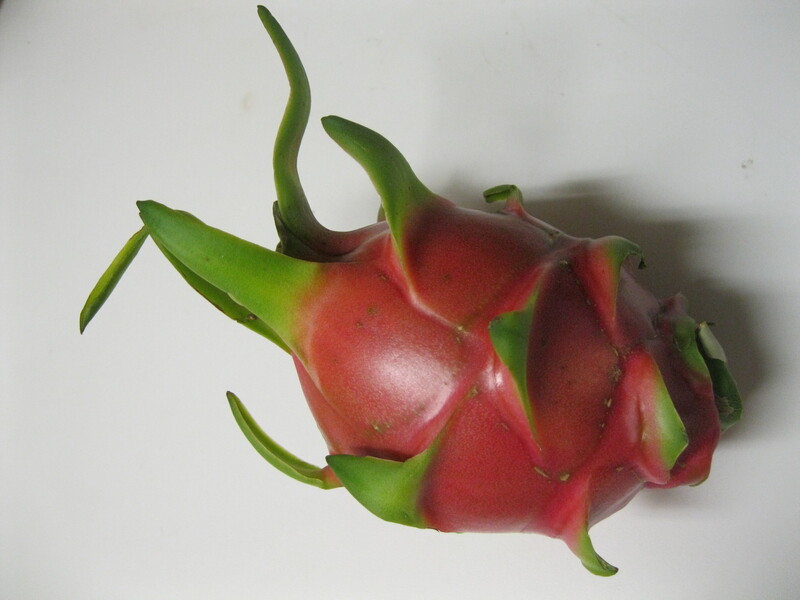 The next new fruit on the menu is called “monstera” or monster fruit. This particular fruit is rather amazing. It reminds me of pineapple. As the fruit ripens and dark green outer scales fall off, pale white flesh is revealed. I tried pulling it off with my fingers but that got messy. I ended up eating it like corn on the cob. It tastes like pina colada. I hope you get to try this one too. I hope I find it again. This is Christie, signing off to look for more terrifying fruit! I have tried both of these in Hawaii! Monstera was absolutely amazing and dragon fruit was beautiful. Whoa!!! 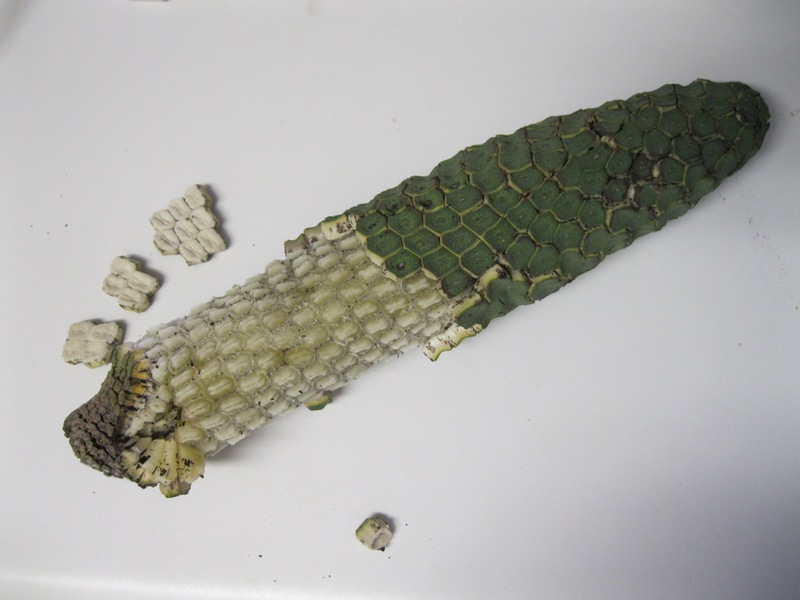 What is that monstera fruit?! THAT LOOKS AMAZING! Where did you find it? I want to taste! That is some seriously weird fruit. Where do you find this stuff? Markets? Over here, we get the basics in the supermarket, I think i’d have to head into the city markets for anything slightly askew. As far as I know they grow locally here in South Florida. I imagine anyone living in subtropical region would be able to find it at farmer’s markets or green grocers. I’m so jealous of the produce down there. Down there being Florida.